This post is part of our "Spotlight on NTIA" blog series, which is highlighting the work that NTIA employees are doing to advance NTIA’s mission of promoting broadband adoption, finding spectrum to meet the growing demand for wireless technologies, and ensuring the Internet remains an engine for innovation and economic growth. 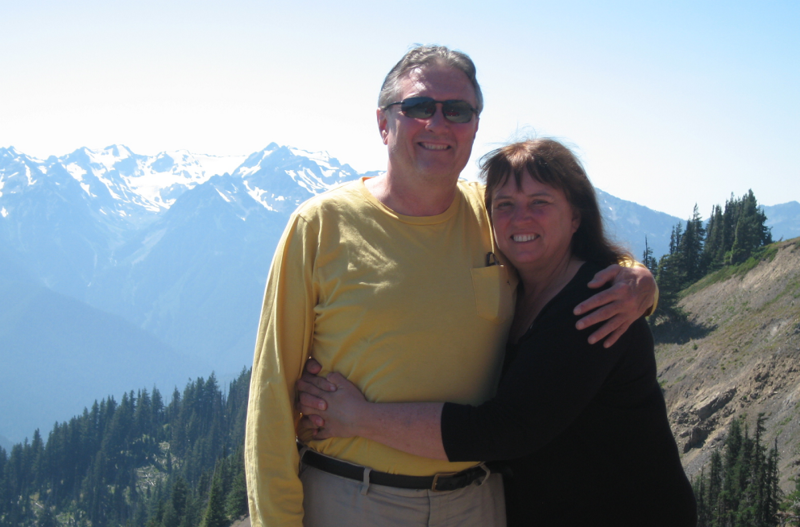 Jean Rice and Don Williams both work at NTIA – and just so happen to be married. Jean and Don work for NTIA’s BroadbandUSA team. Jean focuses on developing partnerships with federal agencies and on broadband deployment and adoption in rural and tribal communities, while Don provides technical assistance to local governments, nonprofits, and community groups that are developing broadband deployment strategies. Jean and Don previously worked on the Broadband Technology Opportunities Program  (BTOP), NTIA’s broadband grant program funded by the American Recovery and Reinvestment Act. Jean brought the expertise she gained in helping to manage BTOP’s tribal and rural infrastructure projects and strategic initiatives to her current role. Don helped to manage some of the regional and statewide BTOP infrastructure projects and was responsible for ensuring grantees complied with federal wage rules. Jean says she loves “the impact you can have” at NTIA, accompanied by the synergy involved in working with other agencies and organizations to solve problems -- especially while working for BroadbandUSA. Don says he enjoys the opportunity to meet, help and work with others around the country. It might not be that rare to hear of a married couple who works together. After all, many people become friends with their coworkers based on shared interests. What sets Jean and Don apart is that they met in college, started and ran a business together, and then they were hired by NTIA. Jean and Don met in class as undergraduates at the University of Wisconsin at Madison. Jean was working on her BS in communications focusing specifically on telecommunications, telecommunications in the developing world, and interpersonal communications, while Don was majoring in history, philosophy and sociology. The couple married and had an outdoor wedding in Madison. Like many wedding days, there was a bit of drama – in this case involving the wedding cake. The morning of the wedding, they called the venue that was hosting the reception to confirm that they had the cake; the venue assured them that they did. They realized shortly after that the cake they had been referring to was for a different event. In a panic, Don said he woke up the baker to make a new cake but was unaware that Jean’s friends were also coming to the rescue. In the end, the reception was saved – and guests were able to choose from five different wedding cakes. After their wedding, Jean and Don went on to receive graduate degrees from the University of Wisconsin. Jean began working at the New York State Commission on Cable Television as Senior Consultant to Municipalities. Don pursued his doctorate in sociology from the University of Massachusetts, where he also taught political economics, stratification and social theory among other topics. Soon after, Jean began her first stint at NTIA working in the Public Telecommunications Facilities Program as a New Technologies Program Officer, while Don taught at the College of William & Mary in Williamsburg, Virginia. Sharing a similar interest and passion for telecommunications and broadband, Don and Jean started a business together in 1984 called Rice, Williams Associates, which focused on developing telecommunications regulatory policies, working to ensure broadband service was deployed in communities, and developing programs, policies, and drafting changes in legislation. Jean and Don ran the firm together for 26 years. Later, they both took jobs at NTIA because they thought the positions would offer them the potential to help change the broadband landscape in the United States. Jean and Don have three grown children and live near Annapolis on the Severn River. While they are enjoying an empty nest, they are still keeping very busy. When they aren’t working, they enjoy hiking, skiing, water tubing, crabbing, boating and traveling. A few of their favorite vacations included hiking in Tibet and near the Great Wall of China, riding elephants in Thailand, and snorkeling with sharks and manatees in the Society Islands in the South Pacific.